Green Furniture Concept makes sustainable design for public indoor areas. Winding, seamless seating and acoustic lighting from Green Furniture Concept can be found in places like Gothenburg Airport, the Strand Galleria (Melbourne) and Stockholm Central Station. The company provides BIM objects and DXF/DWG to architects for an easy handelling when choosing their products into projects. They currently provide files for Revit, ArchiCAD, AutoCAD and SketchUp, but will gladly provide you with your chosen format. 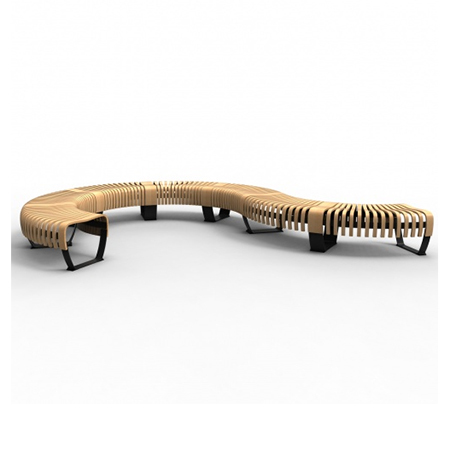 The latest videos include new versions of the Leaf Lamp tree and the flexible benches in the Nova C Series. The videos are available for ArchiCAD , Revit and SketchUp and include options for materials as well as variations of object types.